Our natural fibre seating are filled with polystyrene bean bags beans in a seperate fabric liner within. We make our seating in leather and sheepskin materials, sewn to hold up with rigorous use. Add texture to your home with Fibre by Auskin rugs and cushions. Amazing Australia and New Zealand sheepskin hides are tanned and sewn together to create a masterpiece of natural softness. Fibre by Auskin is your main source for all natural home decor. 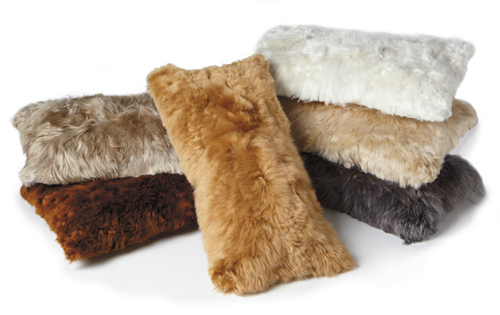 Our alpaca fur cushions are available in 11x22" and 20x20" sizes. 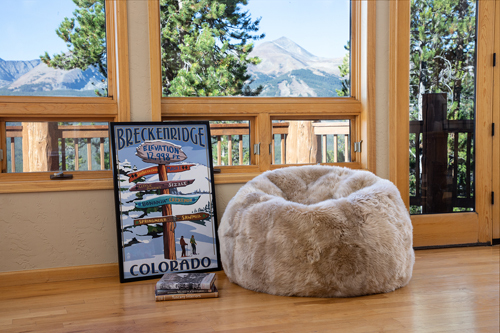 Our cushions are backed with microsuede and filled with a feather down insert. Our alpaca rugs are sized as 4x6', 5x8' and 8x10' and are available in many color options. Our throws range from full woven styles to woven with fur trim.